Screen Repair and Replacement - Tampa, Clearwater, St. Pete | A.R.M. 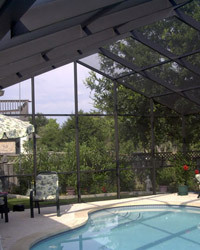 Aluminum Inc.
Screen enclosures are a great place to entertain guests and enjoy the warm Florida outdoors. Aluminum screening gives you the beautiful outdoors without the worry of pests, debris, and harsh UV rays breaking up the party. Aluminum screen does eventually wear and weather causing unwanted problems. But replacing screens in an entire screen room or even a small section can be an overwhelming task. Screen replacement is not something most of us want to tackle as it can be very painstaking and tedious work. A.R.M. Aluminum has been your local screen repair company for over 25 years. Our high quality aluminum screening is both strong and durable. The finish coating resists rust, won’t sag, and withstands the elements for years of worry free screen protection. Our rescreening experts are timely, professional, and ready to help with your screen enclosure repairs such as full enclosure rescreening or single screen panel repairs. 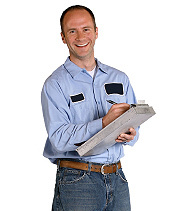 Our screen replacement services are just what you need for all your room screening repair needs. With expertise and proper equipment, we can handle everything from screened porch repairs and patio screen repairs to pool screen enclosure repairs to single screened doors and windows. As the go-to Tampa screen replacement company, we are anxious to help. Contact us today for more information by requesting a FREE Estimate with one of Florida’s best enclosure specialists, A.R.M Aluminum!